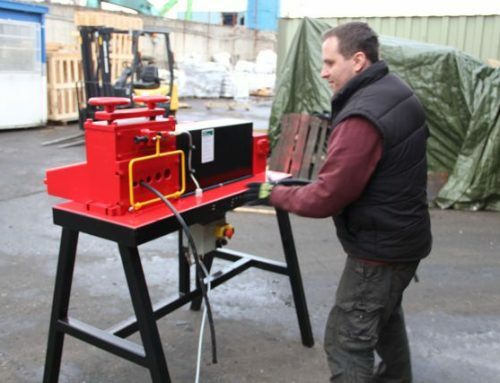 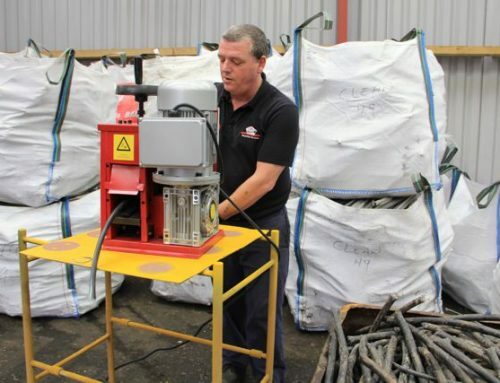 The Euro-Strip 10000 is the largest machine in the Euro-Strip range and has been designed for maximum output when handling wider-gauge cable. 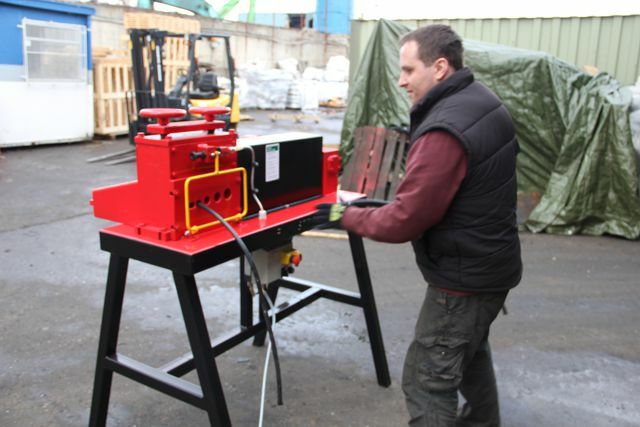 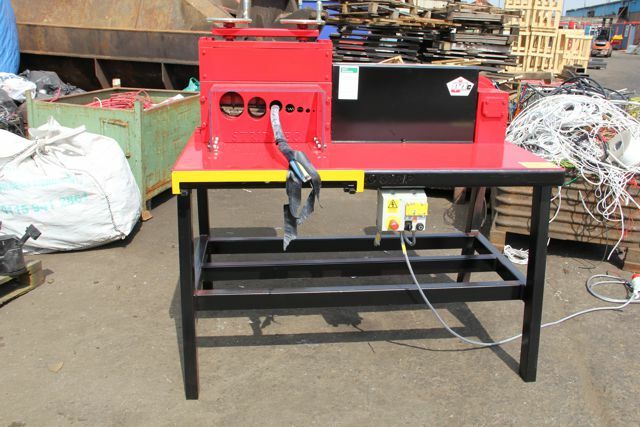 It is a heavy-duty wire stripper which is ideal for cable up to 150mm in diameter. 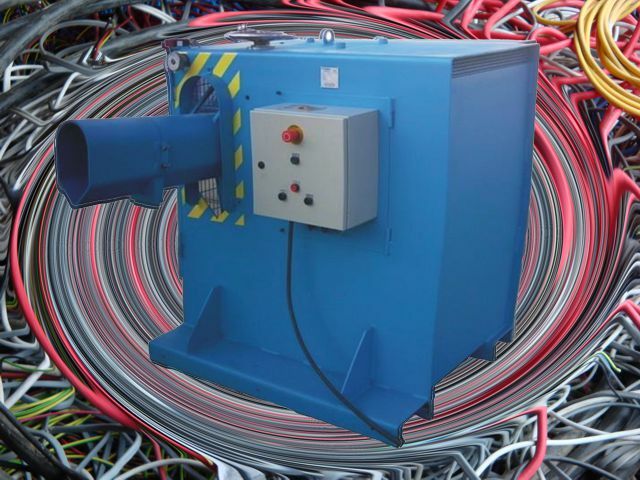 With a cutting speed of 32 metres per minute, the 10000 can handle wide gauge cable at speed and is able to process standard electronic cable, lead covered or armoured cable with ease. 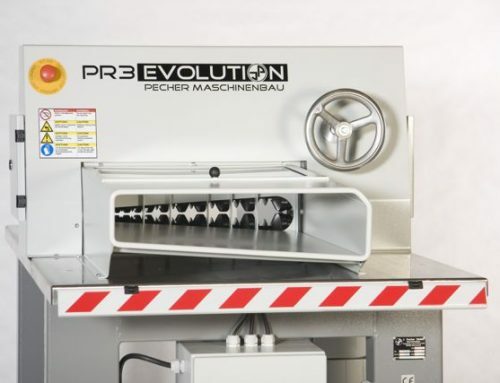 The cutting knife on the 10000 has been heat treated for strength and wire can be processed without the need to change settings, saving time and making the stripping process faster and more efficient. 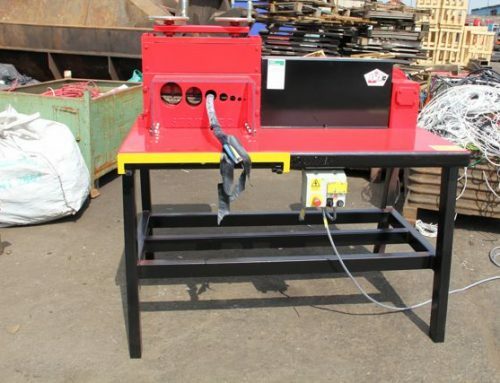 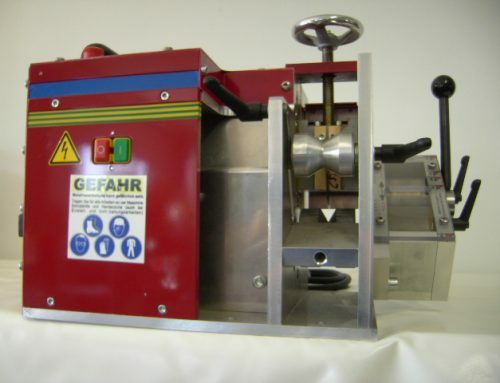 The Euro-Strip 10000 cable stripper complies with current European safety legislation and the electronic control box is equipped with an isolating switch, contacts, forward and reverse, various fuses and thermal protection for the motor.